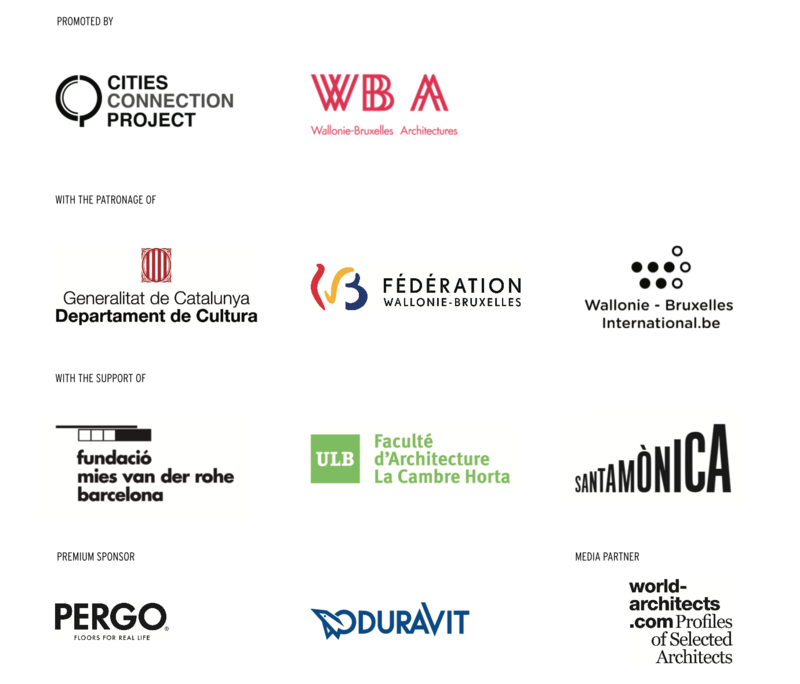 From the 4th to the 23rd of April 2019, there will be an exhibition with plans, photos and models of the 40 projects to re-activate the city (20 from Barcelona + 20 from Wallonia-Brussels) at Arts Santa Mònica in Barcelona. The opening event of the exhibition will take place on the 4th of April 2019. Opening conference, 19h, Auditorium Santa Mònica: Lecture led by Ferran Grau (Dipl. Arch, PhD. Department of Architectural Design ETSAB) and Audrey Contesse (Art historian, architect, critic and curator) who contextualized the selection of the 40 projects of the exhibition. Opening of the exhibition, 20h, First floor (level 1) and Sala Balcó. Round table, 17h, Fundació Mies van der Rohe: Roundtable between Catalan and Belgian architects, moderated by Ferran Grau and Audrey Contesse (authors of the critical texts of the Cities Connection Project catalog) on the projects and the urban, political and social context with which each study has worked. At 19h, once the debate is over, there will be music and drinks. See the event. Conference, 19h, Auditorium Santa Mònica: Lecture by the authors of two projects exposed in exhibition Import Wallonie-Bruxelles / Export Barcelona. RE-activate the city: Centro Cívico Baró de Viver by Territori 24; Guinardó Facilities Building by Bayona-Valero / Cantallops-Vicente. More information here. The project starts with the connection between Barcelona and other cities in Europe by means of a double exhibition of architecture, which serves as a meeting place to ​​share knowledge, discuss the different city proposals and understand the architectural culture of each territory. This fifth edition, which connects Barcelona with Wallonia-Brussels, works on the idea of ​​reactivating projects in the city, and examining the architecture of public facilities (cultural, educational, mixed use, public spaces…) with special emphasis on the improvement of social cohesion of the city, particularly in areas with a certain level of urban degradation.